Home / .#Politics / #Business / #Europe.#Politics / France / Germany / #Business.#Politics : Germany and France joined to develop a “new generation” European fighter jet ! #Business.#Politics : Germany and France joined to develop a “new generation” European fighter jet ! 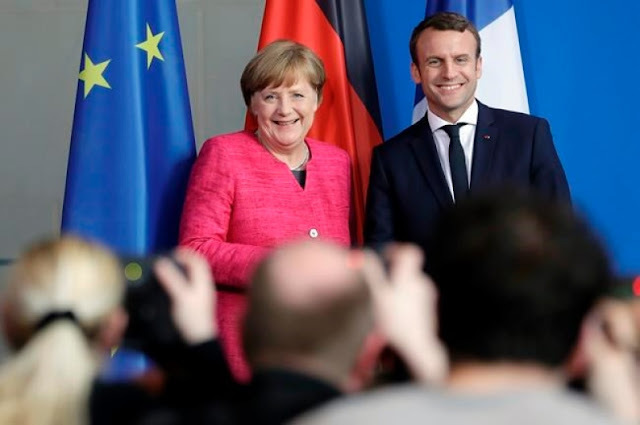 The announcement was made by France following talks between German Chancellor Angela Merkel and French President Macron in Paris. “The two partners hope to finalize a joint roadmap by mid-2018,” the French presidency said in a statement, as quoted by AFP. The fighter jets, which will replace the two countries’ current fleets, “were very heavy projects for our armies and our governments,” Macron said during a joint press conference with Merkel. He went on to state that joint European aircraft will save money and remove competition between different jets which are currently on the market. “The aim of this fighter jet for a new generation is first to launch a common research and development programme to be able to plan it together, and then for our two armies to be able to use it together. I confirm to you, it’s a profound revolution, but we are not afraid of revolutions,” Macron said. 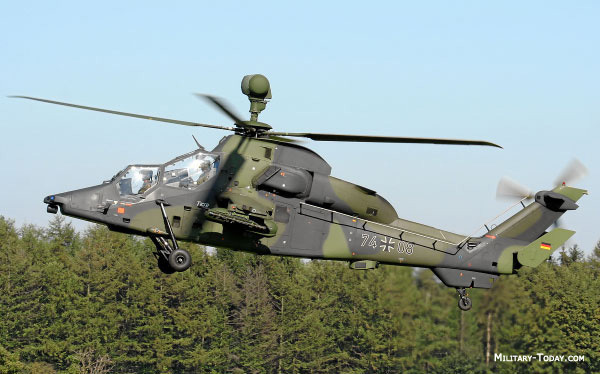 The two sides also agreed to develop a cooperation framework for the next model of the Tiger attack helicopter, and for tactical ground-to-air missiles, Reuters reported, citing a document released after the Thursday talks. The document also said that Germany and France have agreed to work together to procure ground systems, including heavy tanks and artillery, and that a contract is expected to be signed before 2019 for the German-led Eurodrone project, which is aimed at ending EU reliance on US- and Israeli-made military drones. The project announced on Thursday comes after France withdrew from the Eurofighter project in the 1980s to make its own Rafale warplane. 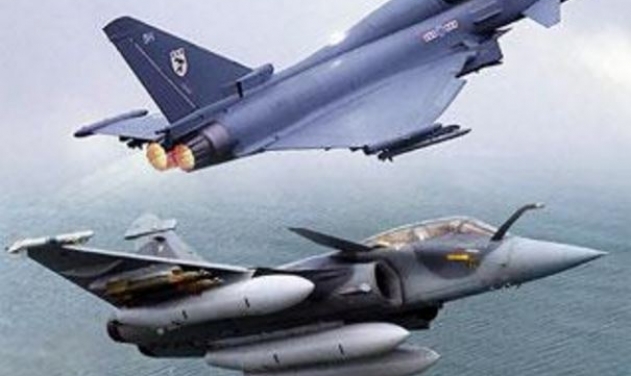 The new fighter jet will replace both the Eurofighter and the Rafale. Europe currently has three fighter planes – the Eurofighter Typhoon, France’s Rafale, and Sweden’s Gripen. However, some analysts say the EU needs just one combat plane, due to budget pressures and development costs. Macron and Merkel also discussed strengthening European integration on defense, counterterrorism, and immigration. Referencing Macron’s proposal of a single EU finance minister, parliament, and budget, Merkel said she is open to those ideas. 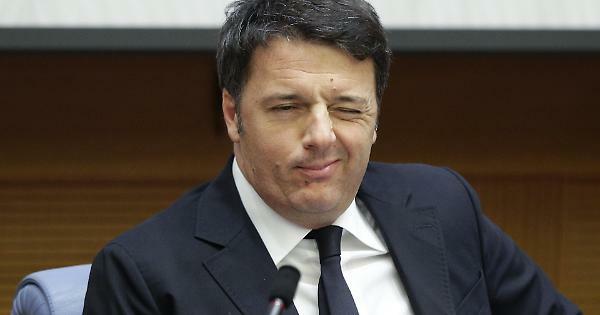 “Personally I was always in favor, it’s about how [to create a European finance minister]. In general I’m not against a euro budget. In 2012 I proposed a small eurozone budget but I failed big time back then but I’m very glad this idea is now back on the table,” the German chancellor said. “I believe that we have shown shortly after the new government here was installed that we are ready to activate Franco-German relations with a new impetus,” Merkel said.